haaa, daily business, how I love it. 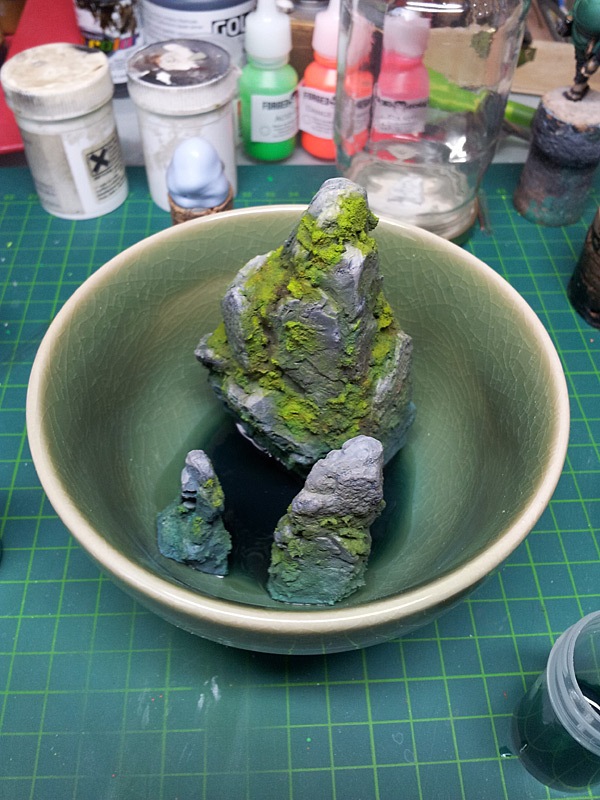 A little sculpting here and there, a small brushstroke over there, mixing resin water so my whole appartement smells like hell... life is good! And check out this song if you're into drum'n'bass ....I really like the video too! While still working on the ronin I also got some other projects running. As you can see there is still some stuff to do, finishing the second and maybe a third head, sculpting the hand, but soon you will see the finished result. The body was sculpted with 1part fimo + 2 parts super sculpey firm, it's a pretty nice mix. The head and all the bright greyish parts are sculpted with Magic Sculp. Now, what other projects are on my table? Here we have two colonial marines from Hasslefree Miniatures (Ken & Kendra). 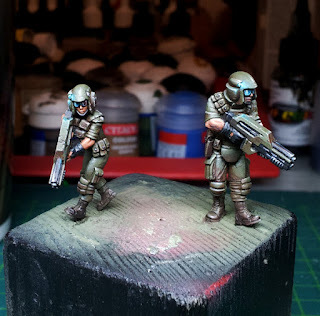 Those two will be part of a small Alien themed diorama. Pretty straight paintjobs, nothing too fancy, but as they are not the central and most important part of the diorama they don't need to be super fancy. 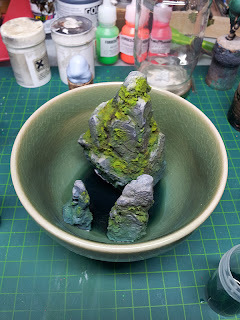 And another project of mine get it's basing done these days, it is a very time taking process as it involves a lot of resin water and there will also be a lot of vegetation and plants on the rocks. Ahhhhh ... stuck in ScribblerToo .... AHHHHHHH!!! 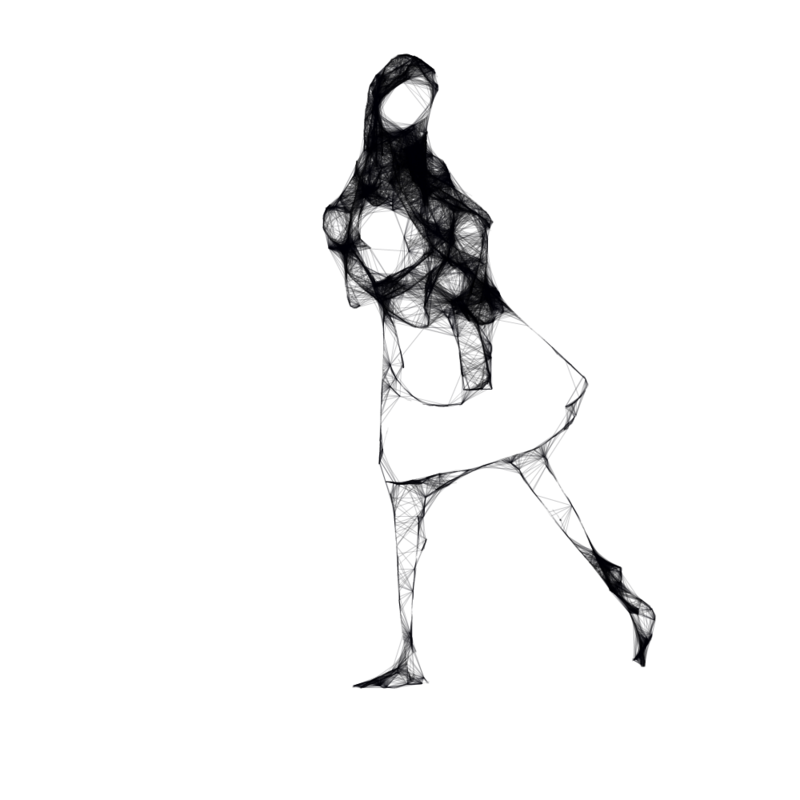 That Scribbler thing is way cool! Pretty addictiv! And those rocks look exactly like something I was planing to do for quite some time. 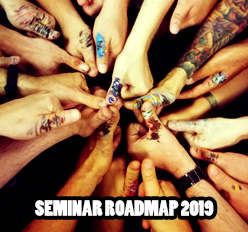 Looking forward to seeing what it will look like in the end. The moss on those rocks looks really interesting!!! Is it real or artificial flock? In my mind all of them look really interesting. 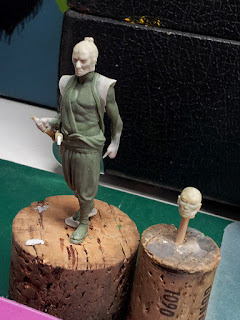 Amazing Ronin sculpt, great Marines and can´t wait to see the result of the Rock project. Are this Rocks sculpted, from some kind of mold or just found in the nature? Great job so far! 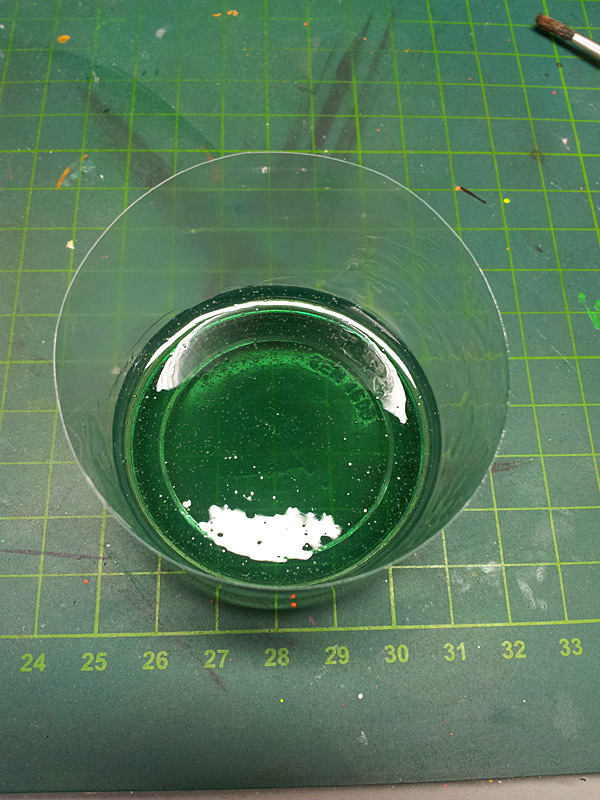 @Kraan: It is a mix of different stuff... mostly Fine Turf from Woodland Scenics, then a lot of cotton fibres and some acrylic gel. I also added some color to the mix before applying it. 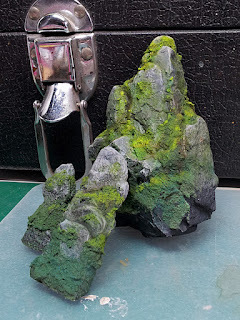 @Anonymous: I bought some rock mold which is pretty awesome, I use resin to create a set and then mix and match them to create bigger rocks.